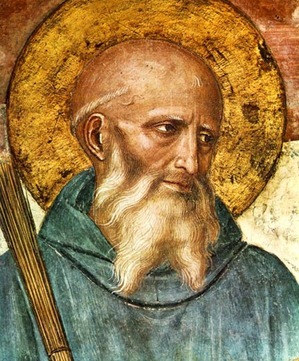 Experimental Theology: Fridays with Benedict: More from Chapter 53, "In Them More Particularly Is Christ Received"
Fridays with Benedict: More from Chapter 53, "In Them More Particularly Is Christ Received"
We can't move on from the great hospitality chapter in The Rule of St. Benedict--Chapter 53--without mentioning another passage. We might call this the hospitality version of "the preferential option for the poor." Hospitality is for all, but in welcoming the poor is Christ more particularly received. The King will reply, "Truly I tell you, whatever you did for one of the least of these brothers and sisters of mine, you did for me." Thanks for Fridays with Benedict. I look forward to them each week. They remind me how much wisdom and compassion are something to strive for. Thank you. When we get to the final, 73rd chapter (ETA around Christmas) we'll be done. I've been thinking about doing something else and similar after we are done. My current plan is to do "Fridays with Thomas à Kempis" and work through The Imitation of Christ.